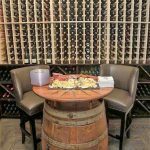 It was an exciting fall 2018 when a new hot spot in downtown Sioux Falls opened its doors. 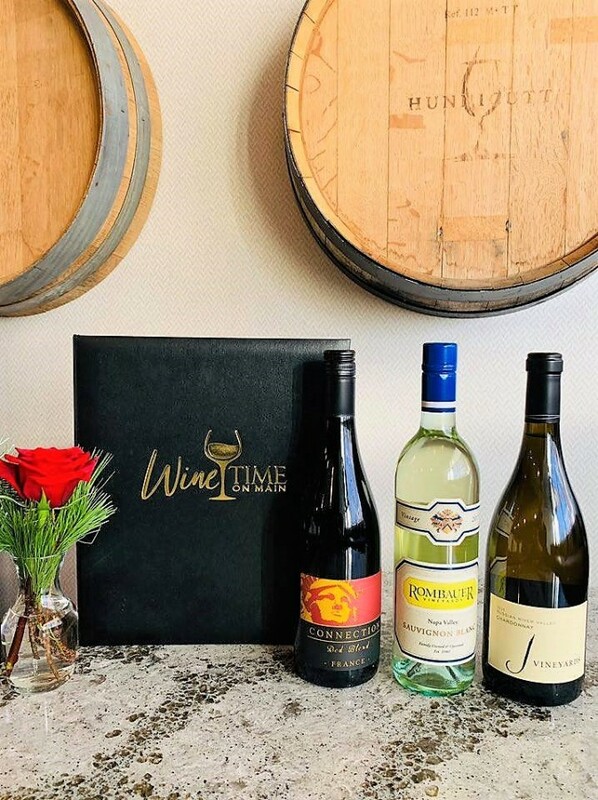 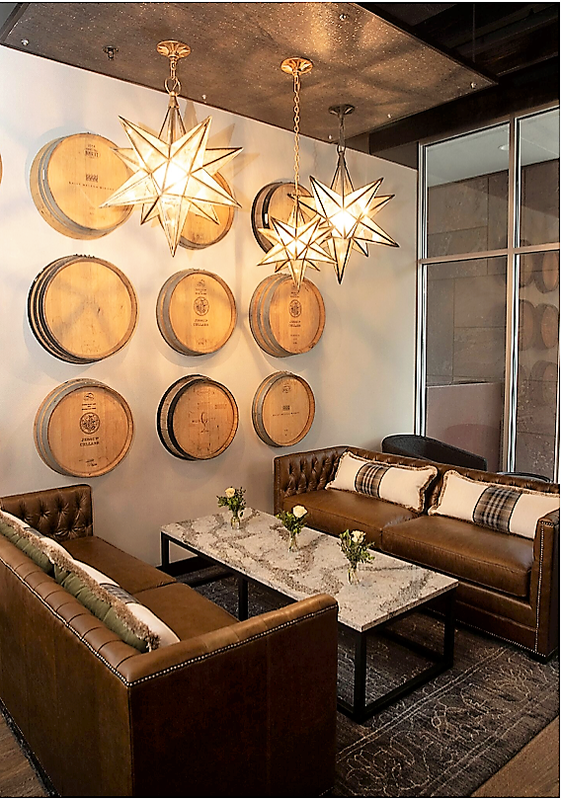 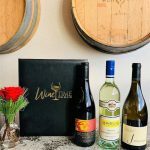 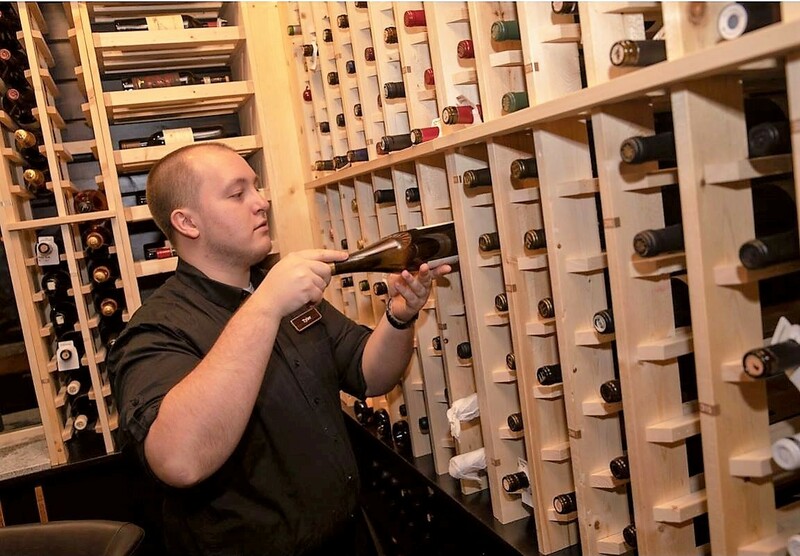 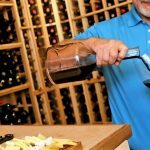 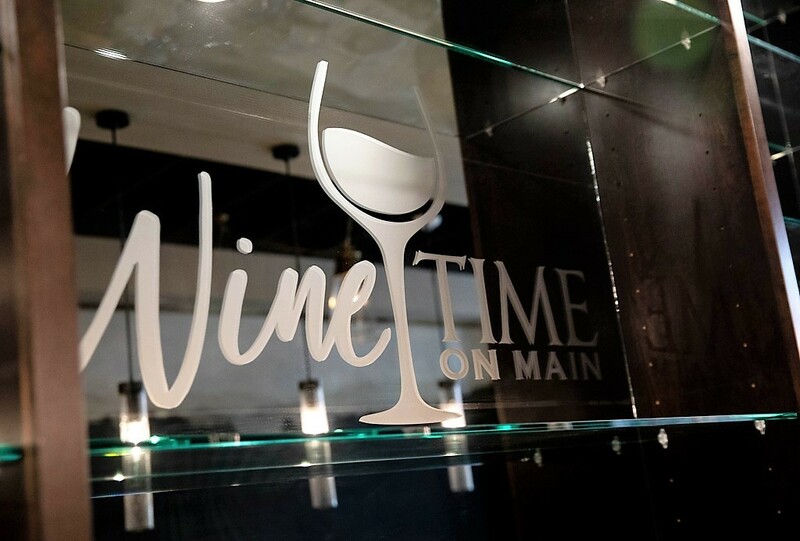 Wine Time on Main is a great little spot for the local wine connoisseurs. 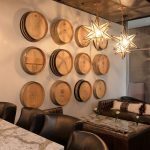 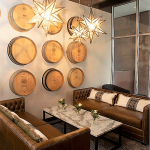 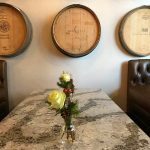 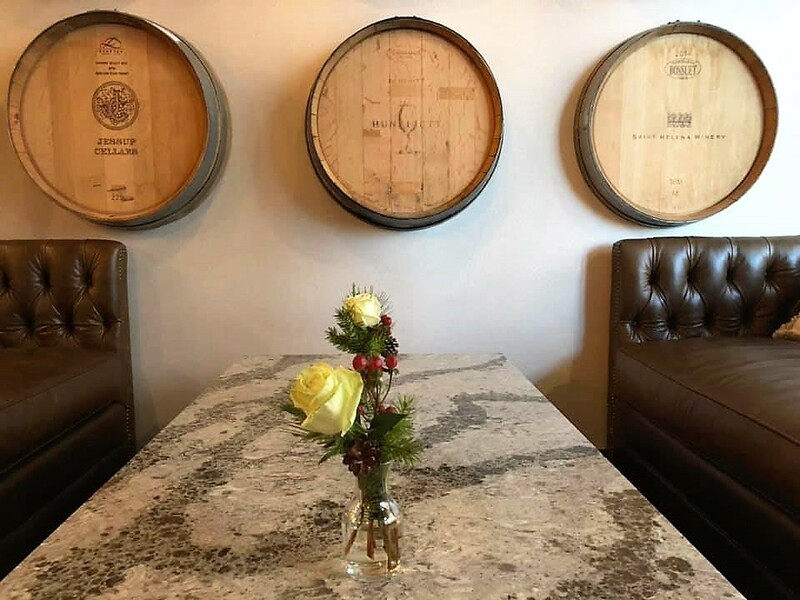 We are honored to have been a part of this new wine bar by creating the custom bar cabinetry including the bar, wine racks, wine room bottle racks, cocktail table and booth, countertops and interior logo sign. 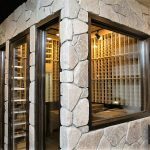 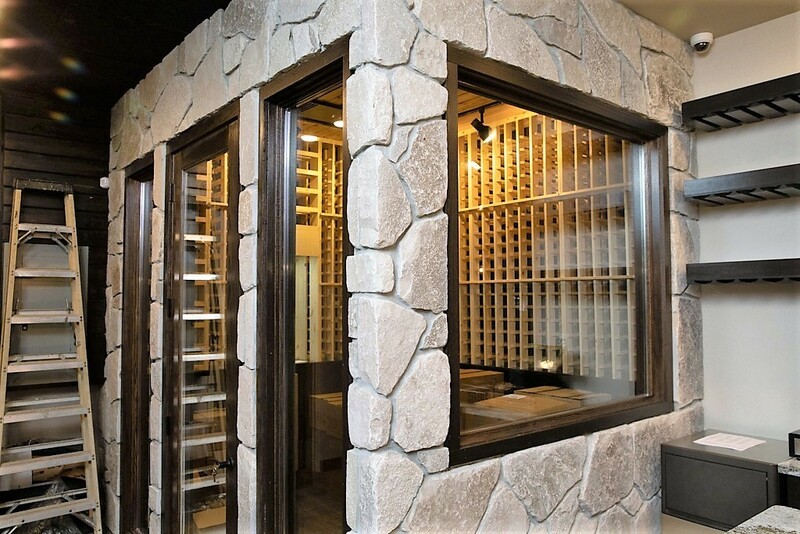 Stop in and enjoy your favorite glass of red at this custom bar with a full wall of cabinets made of solid sliced cherry stained to match Pionite “Witchcraft”. 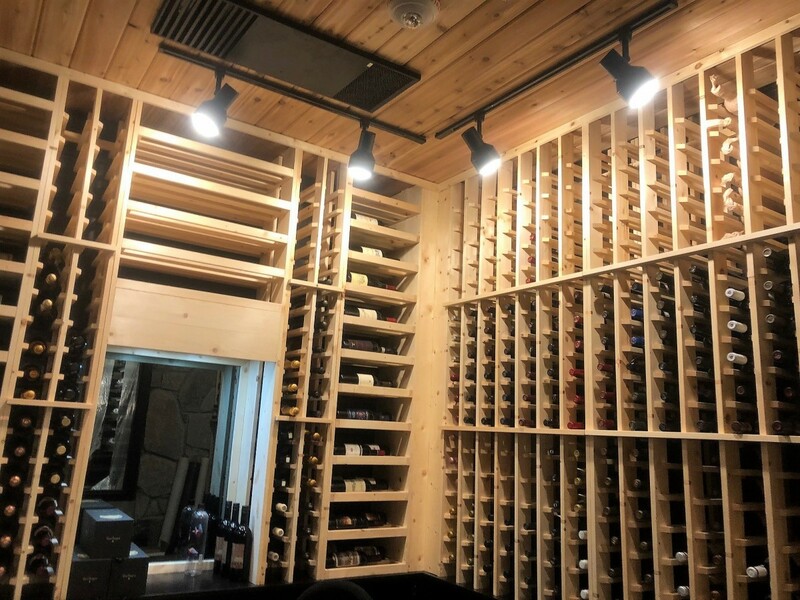 The back wall cabinets showcase sliced cherry floating shelves; behind the cabinets is “smoked mirror” with 3/8″ thick adjustable clear tempered glass shelving. 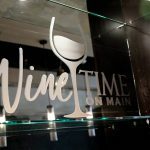 The interior Wine Time logo sign on back mirror is “Frosted Vinyl” applied directly to the mirror. 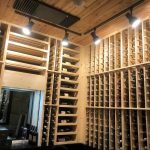 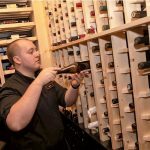 We also built the custom bar cabinetry in the wine room that involved these wine bottle racks to hold 337 bottles of standard and magnum bottles of wine with open shelving below the countertop. 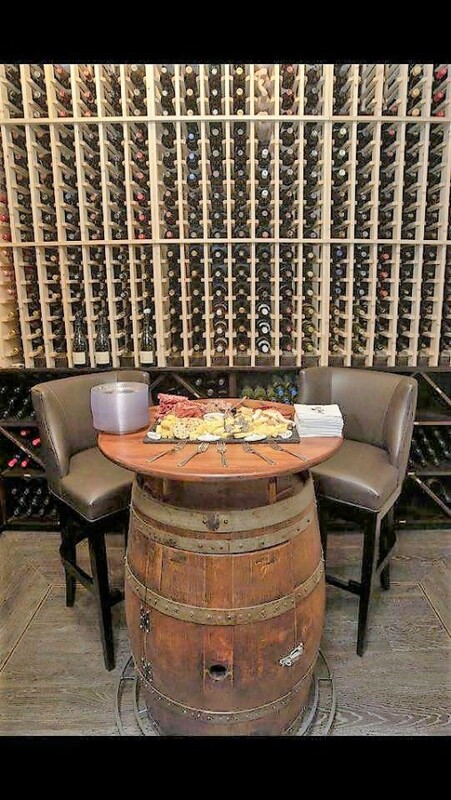 In the seating area are booths made using solid sliced cherry and a 68″ x 36″ cocktail table. 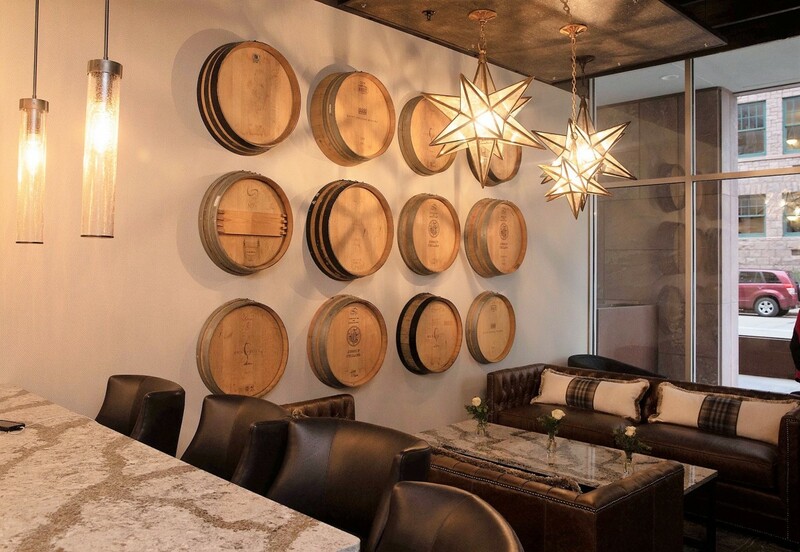 Countertops throughout the project are Cambria “Galloway” quartz.